They will more than likely do an offering but if you got in at 3.12 you need to scale out as it moves up to bank something along the way. i think it's at $3 now after an S-3 filing hit in after hours. my recommendation is anytime you have almost a 33% profit then take 50% to 75% of your shares off and bank the profit. let the other remaining percentage run - if it cracks down, it has to really crash hard to wipe out your profit. if it runs up another 100% you still have a killer gain. i see giys in investors undgd doing this, roland does it. take profits along the way - bank meat of move - never know the news before announced - bank it! If you go to finviz website and type in a ticker it pulls up shares outstanding and shares float. Thanks, that was my guess. So, if/when I cross that 25k mark I'll still need to just make 3 day trades per 5 days until I'm confident I won't ever dip below 25k again. Thanks for the link. If after your 5 or 6 trades you total account equity is still 25k or over then no PDT restriction. By account equity I mean the total $$ of securities you are playing with (gain or loss) plus the remaining $$ in your account. However, if you sell all your positions and you end up below 25k after realized losses then you fall back into PDT restriction. its funny... as soon as i make this post, CREG tanks. 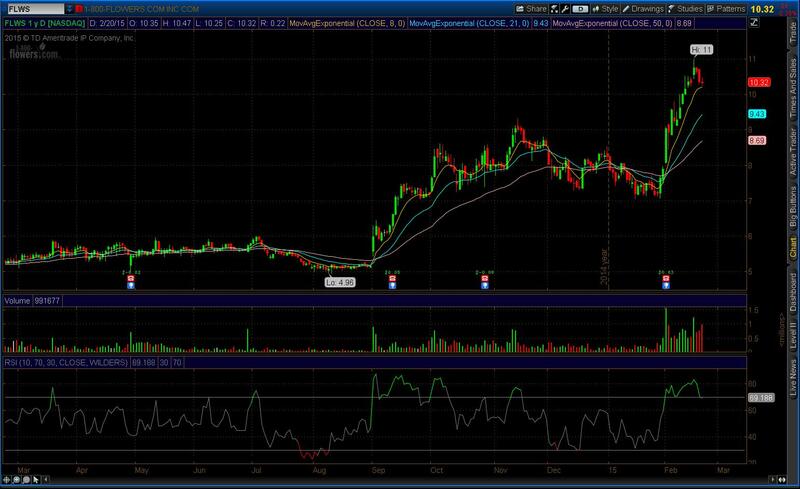 $CREG looks like a great short. up 600% on no news and volume has died down FRTA looks like an earnings winner, but it's going to have a really tough time with 9 and up too high too fast, so this also looks like a nice short opportunity. $IDRA is a biotech up on analyst news (not really news for a biotech). not a spiker, and not really volatile enough to day trade. on 2nd thought, *because* $CREG is such an obvious short and low float, looks like it's gonna squeeze exponentially today. Lol, don't worry, the alcohol was *after* I got out. I've learned so much this week. Plus made everything back and more on my p/m $ONCS trade. Back to a green month. Well, $18 but I'll take it! @SFKrystal It's not the $18 you should be thinking about. It's what the $18 represents - a WINNING trade. I think the key to this is taking larger positions and getting out a bit earlier than you think it will run. Consider the PERCENTAGE the trade made in relation to your risk. Congrats! @Palmer Yeah - I don't consider it as trading for a living thus a different perspective on its seriousness. I would like to win the game however and get to the $1M prize but don't expect to feed myself off trading. Maybe if I get to success at your level my perspective shifts but for now - PLAY ON! @huperauxano Thank you for your comments. I made a little update in the post that specifies my definition.